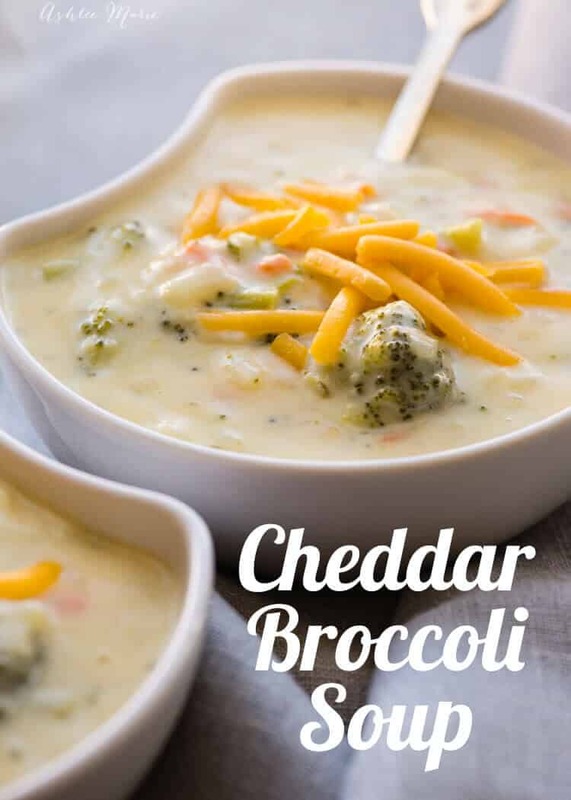 I love soup – obviously – but it’s so hard to narrow down a favorite – I seriously make soup at LEAST once a week, but THIS – cheddar broccoli soup – will ALWAYS be a go to. 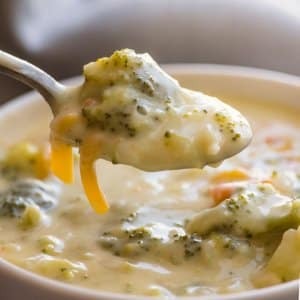 I judge all soup and sandwich places by their broccoli cheese soup. If they don’t have a good one I never go again. I mean seriously – it’s such an easy soup that if they can’t make a good one nothing else is worth trying IMO. As for the cheddar – you CAN add other cheeses too – but I AM a purist in this case – I’m all cheddar all the way. I usually stick with mild, but of course a good sharp is always a great way to go too. Also consider that higher quality cheese will melt better – which will end with a better texture – nothing worse than the cheese sauce breaking down. The best thing to do is let the soup cool for 5-8 mins before adding the cheddar to ensure it melts well. Top with more cheddar and serve! Oooey Gooey goodness! 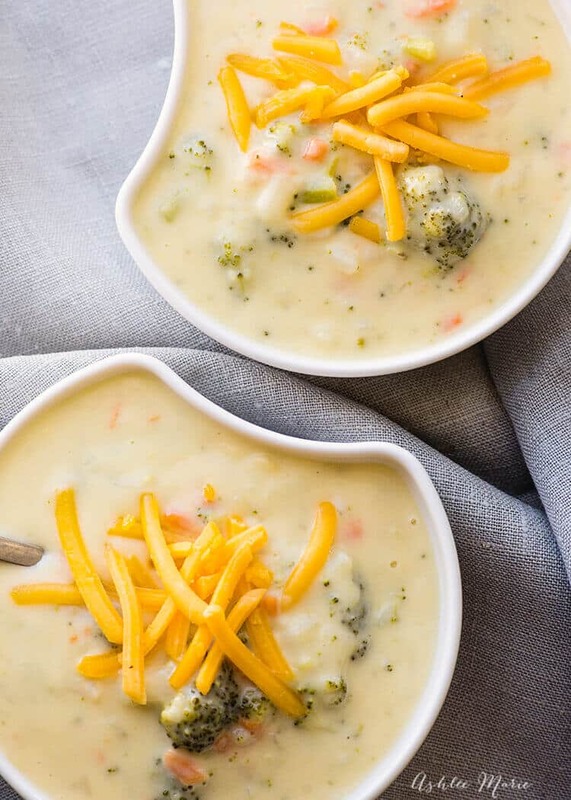 It seriously doesn’t get much better than this soup. Serve with your favorite bread. A homemade white bread, or sometimes cornbread. Or of course a great sandwich (yummmm, I love sandwiches too). 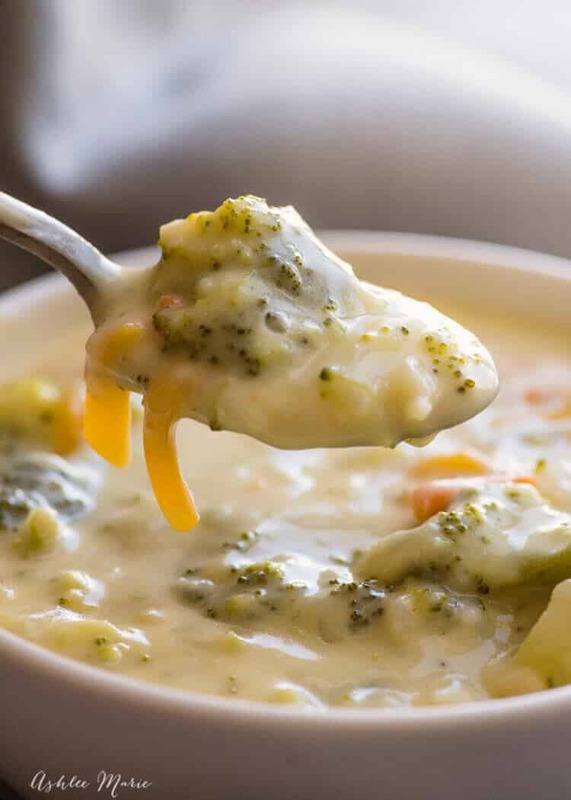 This easy to make broccoli and cheese soup is filling, comforting and incredibly delicious. serve in a bread bowl if you can find one and enjoy!